Many potential amendments would scale back upzones in areas now reserved for detached houses, while some others would increase upzones of blocks where tall buildings already are allowed. Seattle City Council members Monday began discussing block-by-block changes to a plan that would allow denser buildings while imposing affordable-housing requirements on developers in the cores of 27 neighborhoods, with the goal of generating thousands of low-income apartments. The dozens of tweaks under consideration include potential amendments that would scale back upzones proposed for certain blocks in Mount Baker, on Beacon Hill, Rainier Beach, Miller Park, Wallingford, Crown Hill and on Queen Anne. Other potential amendments would, in contrast, increase upzones proposed for blocks in the Othello, Eastlake, University Village, Lake City and Licton Springs neighborhoods. Still others would increase proposed upzones around the light-rail station set to open in Roosevelt in 2021 while scaling back those proposed for some blocks not as close to that same station, such as those in the Ravenna-Cowen historic district. “We want to see that the entire district remains intact,” resident Judith Bendich told the council Monday, arguing against a zoning change that would allow new duplexes and triplexes in that area. The potential amendments meant to reduce upzones are more likely to pass because the council is limited by what the city studied in an environmental review. The larger the upzone for a lot, the larger the affordable-housing requirement or fee there, so scaling back upzones could result in fewer new affordable housing units generated. “Consider and prioritize the maximum affordable housing,” said Patience Malaba, an advocate with the Housing Development Consortium. The council’s central staff compiled the potential amendments based on input from council members and community members. Not all will be sponsored and voted on by the council, and additional amendments still may emerge. As currently written, the upzones plan would allow developers to build one or several stories higher in neighborhood nodes already zoned for apartments and along commercial corridors throughout the city. The plan also would allow denser residential development on 6 percent of Seattle lots now zoned exclusively for detached, single-family houses. In the upzoned areas, the plan would trigger the city’s Mandatory Housing Affordability policy, which requires developers to include some rent-restricted apartments in their projects or pay fees to fund the construction of such units for low-income households elsewhere. As currently proposed, the plan would require developers to devote 5 to 11 percent of their projects to rent-restricted apartments or pay $5 to $32.75 per square foot in fees. Mandatory Housing Affordability upzones already have occurred in the University District, downtown and South Lake Union, Lower Queen Anne, the Chinatown International District and parts of the Central District. Multiple speakers asked the City Council Monday to protect small businesses in the University District from disruptive redevelopment by not upzoning University Way Northeast. The strip better known as The Ave was not included when the council upzoned the rest of the University District in 2017. Many potential amendments aimed at scaling back upzones concern blocks now reserved for detached houses, while others are aimed at increasing upzones concern blocks where tall buildings already are allowed. In West Seattle Junction, for example, certain possible amendments would reduce upzones proposed for single-family lots. Rather than allow new low-rise buildings with up to nine units on 5,000-square-foot lots, the zoning changes would allow new residential small-lot buildings with two units. Those amendments would require no additional environmental review. 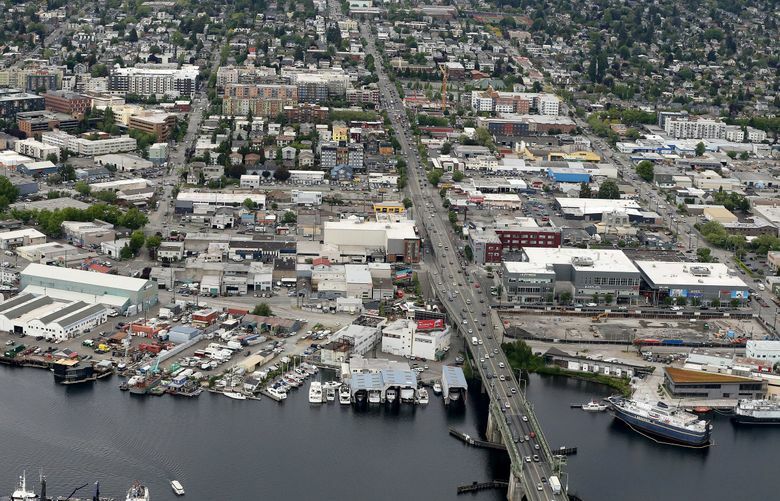 Also in the Junction, another possible change would increase the upzone proposed for a triangular area between Fauntleroy Way Southwest, 35th Avenue Southwest and Southwest Alaska Street, where 65-foot buildings now are allowed. Rather than allow 75-foot buildings, the change would allow 95-foot buildings. That amendment would require additional environmental review. Council members intend to continue discussing the amendments Wednesday, on Feb. 8 and on Feb. 25, with a public hearing scheduled for 5:30 p.m. on Feb. 21. at City Hall.